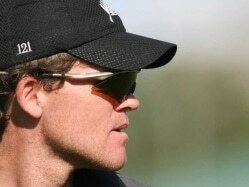 There has never been a dearth of talent in New Zealand cricket but the problem they face is in grooming that talent. Lou Vincent was one such example. A talented and stylish right-handed batsman hailing from Auckland, Vincent had an average start to his international career at the age of 23. He was first picked for ODIs where he played a few useful knocks here and there but not something substantial to catch attention. However, Lou's agile fielding and ability to keep wickets was an added asset for him in the shorter version of game. New Zealand struggled with their opening pair on the tour of Australia in the 2001 season and then the selectors decided to hand Vincent a chance in the opening slot. The hardworking cricketer grabbed the opportunity with both hands and had a dream Test debut with an awe-inspiring century on a bouncy wicket at Perth. His career soon ran into a bad phase, after a promising start, as he struggled to score runs consistently and was eventually dropped from the Test team. Though, he continued to be in the scheme of things for the ODIs. His poor form sustained and then he had to pay a hefty price by losing his place in the one day side as well. After spending a year out of international cricket, the Aucklander made a comeback in 2005 to Test cricket with a sedate show against Australia in the home series. A month after his return he managed to score an enthralling double century against Sri Lanka and to an extent proved his worth in the side. A good show in the longer format also earned him a recall in the ODIs and he responded with a massive 172 runs in his comeback match. 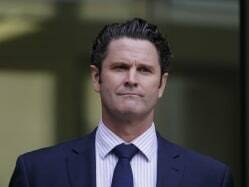 With the retirement of Nathan Astle and Chris Cairns, Vincent became a regular member of the ODI team. Due to the implementation of a rotation policy by New Zealand board, Vincent lost his place in the team and later also suffered from major depressive disorders. His decision to join the rebel league in India resulted in the termination of his contract. However, Vincent continued to give services to his home club, Auckland and was a vital cog in their strategies. In 2013, Vincent announced his retirement from all forms of the game on a microblogging site, thereby drawing curtains on a decent 16-year first-class career.